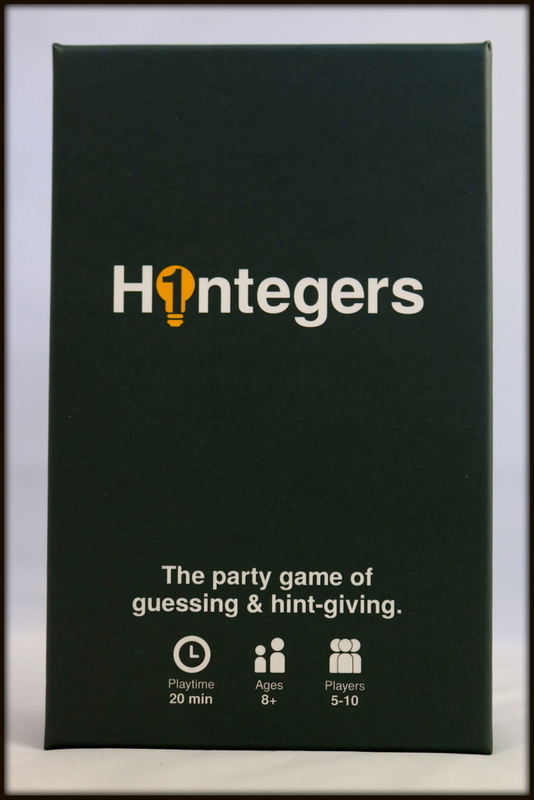 Hintegers is a social, party game based around giving clues where the answers will always be a number from 1-10. 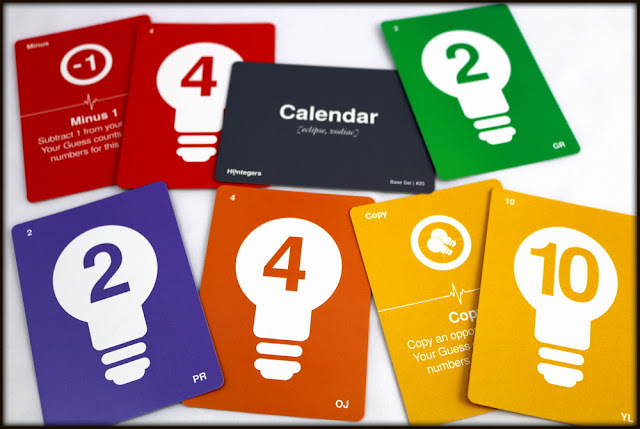 Category cards are provided to give each clue a little starting point, but the clues themselves can be as wide and as unique as the players' imaginations. 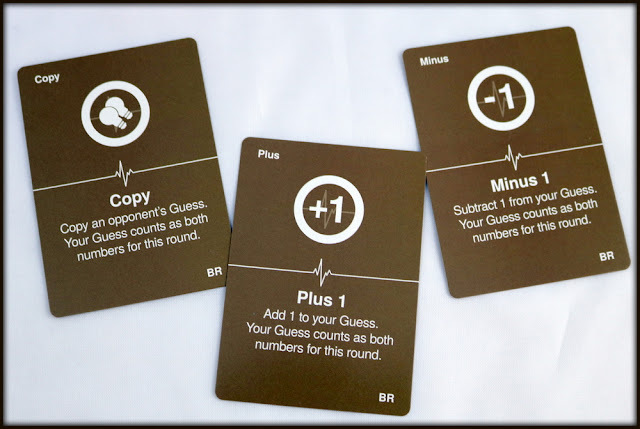 If the number you guess matches the number that the clue giver was thinking of, both of you can discard that number from your deck, and the game ends when one or more players are down to 3 cards. 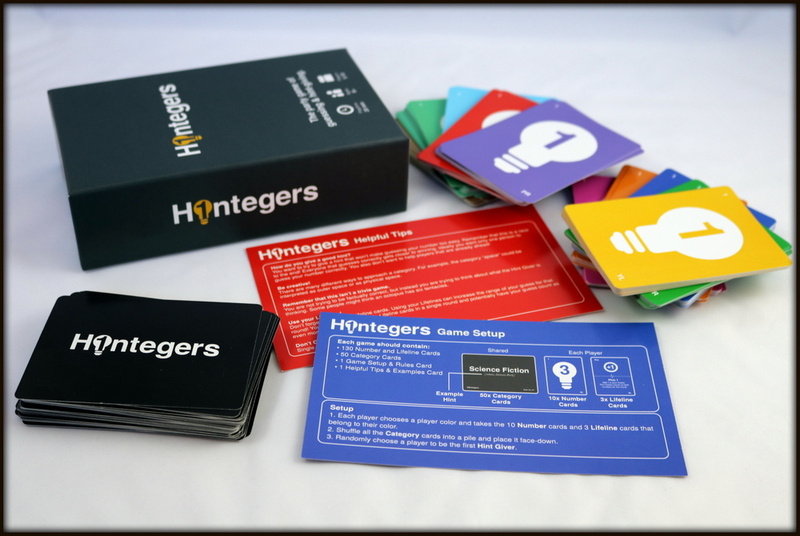 Hintegers is a card-based game, so the sleek grey box includes 130 Player cards (13 in each of 10 colors, to allow for up to 10 people to play the game), 50 Category cards, and two concise and easy-to-read double-sided, double-sized rules cards. The Player cards are bright and glossy, with a large light bulb framing the number on each card from 1-10, plus three extra Lifeline cards. 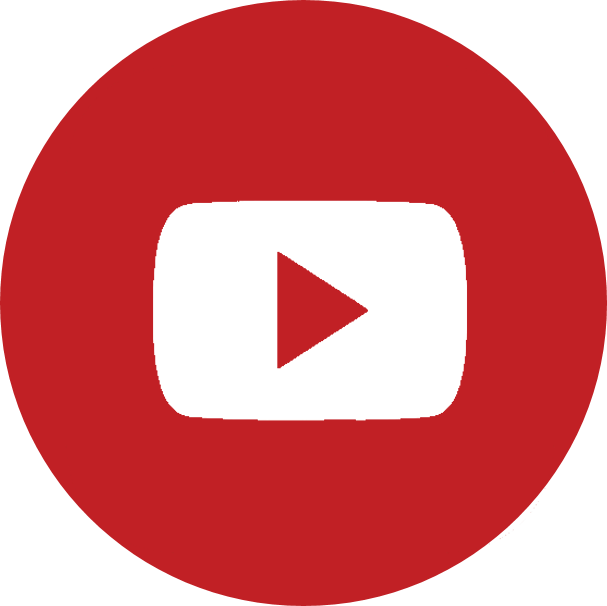 With a thoughtful touch, the cards also include a color code at the bottom to assist colorblind players in sorting the cards. Hintegers is easy to learn and quick to explain, which means it doesn't take long after opening the box to dive into playing the game, even with new groups. 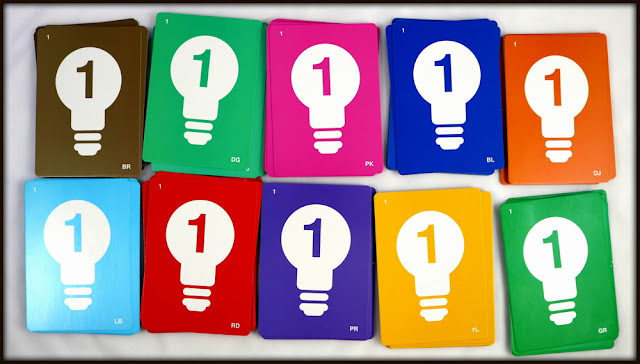 Players take turns looking at two Category cards, choosing one of the categories, and giving a hint that relates to that color and also ties, somehow, to a number. For example, for Fairy & Folk Tales, you might say, "Men in a Tub." You're thinking, "Rub-a-dub-dub, three men in a tub." 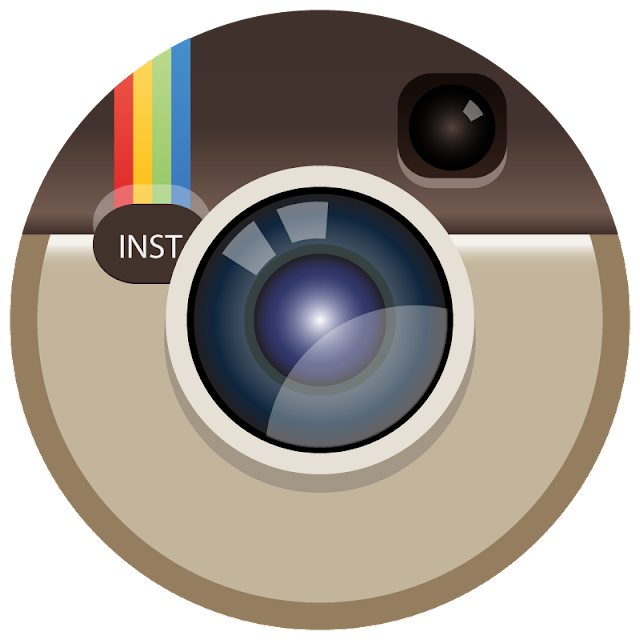 You'll put down your "3" card face down onto the table in front of you. All the other players now try to figure out what number you're thinking of. It looks like a few of them followed your logic, but some of them made wild guesses, or thought only one man could fit in a tub at a time! If at least one player matches your number, then both of you (or all of you, if several people match you) get to discard that number card from your deck. Pass the Category card that you didn't use to the next player, who draws a second card and becomes the clue giver, choosing from the two Categories now in their hand. Play continues in rounds until someone has only three number cards left in their hand, and they win! Each player also has three Lifeline cards. Two allow you to hedge your bets on a number--Plus makes your answer count both as the number you played and the one above it; Minus counts for the number you played and the number below it. The final lifeline, Copy, lets you use another player's answer as your own--but you have to choose who you'll Copy before the answers are revealed! 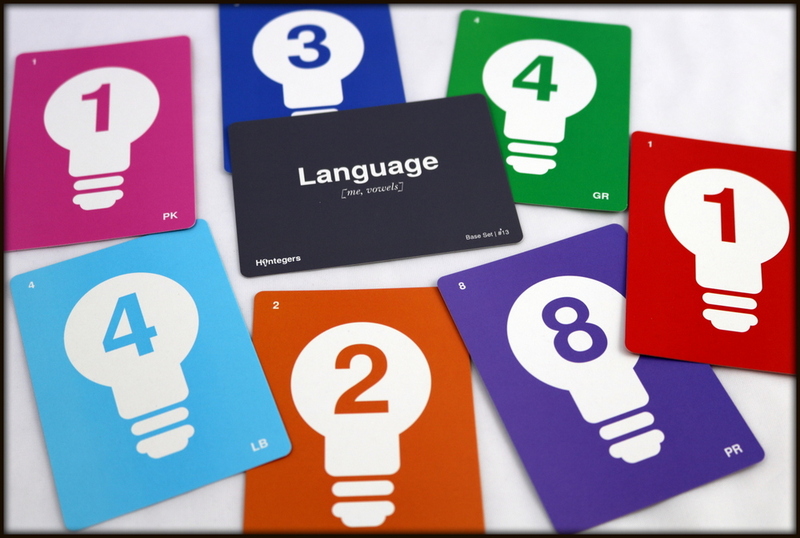 Hintegers has the best qualities of a good party game--it is easy to set up, a breeze to explain, and gameplay pulls in people into engaging, lively, laughter-filled conversations. It is a great way to spend an evening with friends! 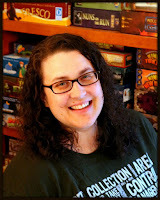 There's just a little bit of thoughtful strategy here, too, because if you give a clue that's too obvious, everyone will get it and you're still on the same footing as far as the number of cards left in your deck. 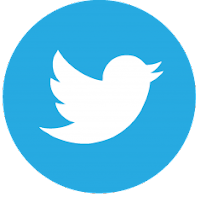 You want to try to give a clue that someone will understand, but not everyone will catch onto--the Dixit effect. You have those three helpful Lifelines, too, and you want to use them, but at just the right moment! 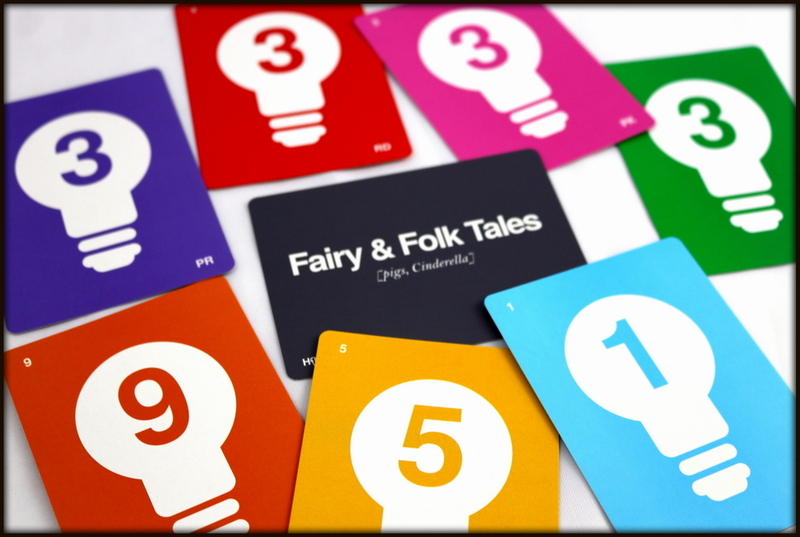 As a gameschooling mom, I also enjoyed this game for the way it makes us think about different categories, especially towards the end of the game when you may only have four or five numbers left in your hand and have to think of a clue that will match one of those numbers and your Category card. 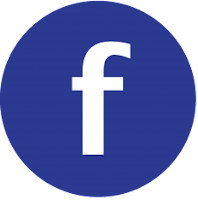 Hintegers is really good at encouraging players to think outside the box and make associations between different concepts, too. 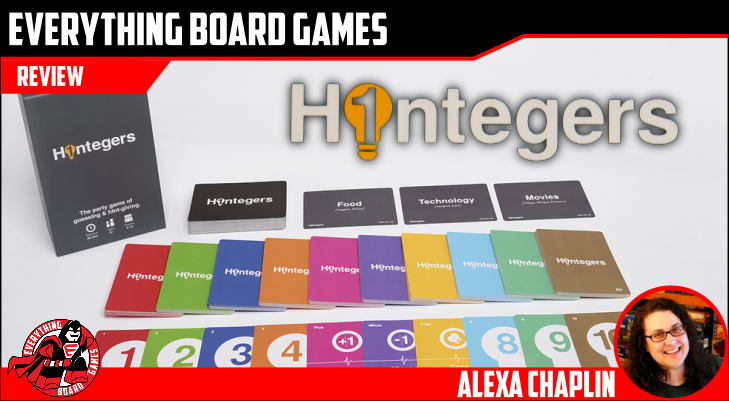 As with many great party games, once you've played Hintegers at a whole bunch of gatherings, you may find yourself remembering Category cards and stockpiling some good ideas for them; an expansion deck wouldn't go amiss, here! Players who enjoy party games based on clues, like Dixit, Taboo, or Catch Phrase, may enjoy thinking about numbers with Hintegers. 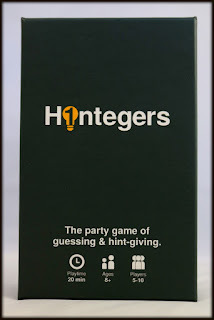 My family & friends had fun every time we opened Hintegers, and really, there's no better response to a party game. 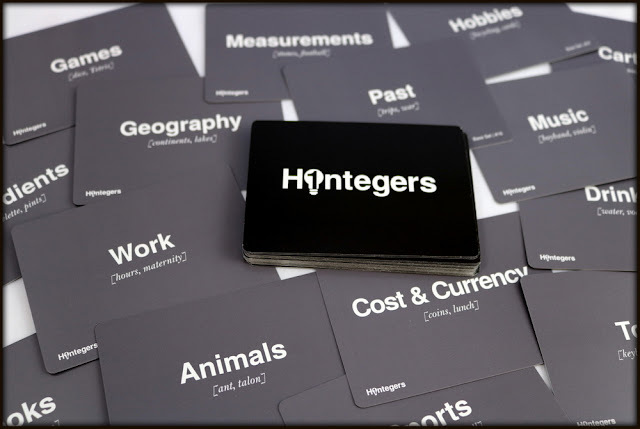 Hintegers is unique enough to make you think, streamlined enough to teach in under a minute, and entertaining enough to want to play again and again.